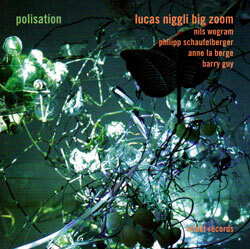 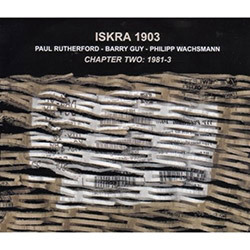 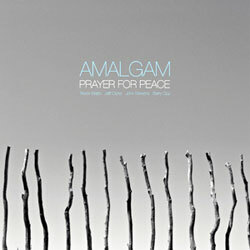 A working trio formed from 3 generations of free jazz players dedicated to performing and recording, Jurg Wickihalder (sax), Barry Guy (bass) and Lucas Niggli (drums) spent two days at the Loft in Cologne, Germany recording this album of virtuosic skill and joyful playing, effortlessly passing from lyrical to abstract sections with always a song in their collective heart. 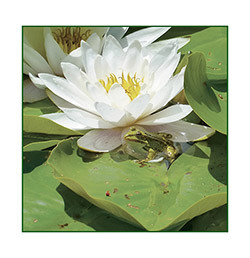 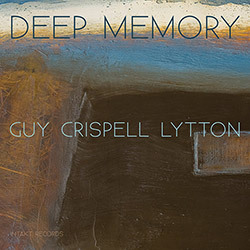 Inspired by Irish painter Hughie O' Donoghue, bassist and composer Barry Guy takes the same trio from his albums "Odyssey" and "Ithaka"--pianist Marilyn Crispell and drummer Paul Lytton--on an impressionist album of expressive and emotional playing, with lyrical and explosive peformances that reflect a haunting music showcasing each player's skills; stunning. 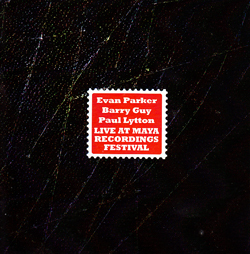 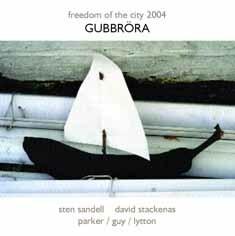 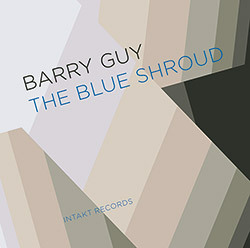 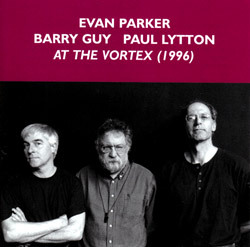 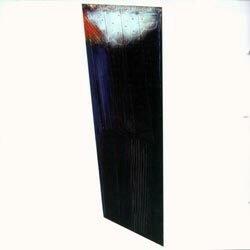 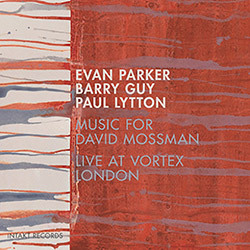 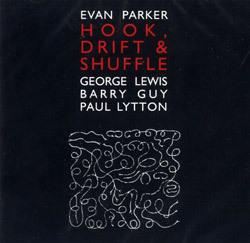 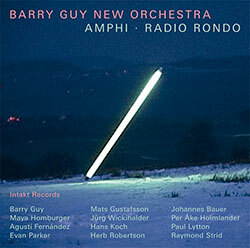 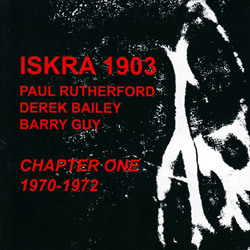 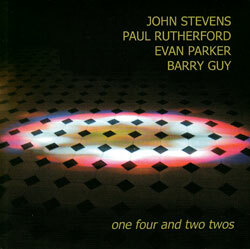 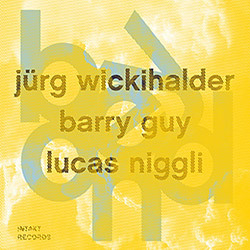 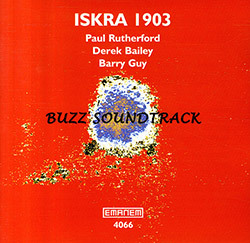 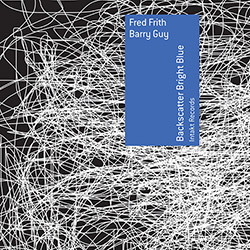 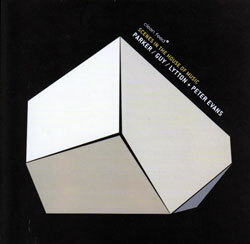 Both bassist Barry Guy and guitarist Fred Frith are key artists of Switzerland's Intakt label catalog, but surprisingly the two have never shared a stage together; Intakt had a feeling about their pairing and brought them into the studio, this superb duo album being the result in 10 brilliant tracks intertwining acoustic double bass and electric guitar. 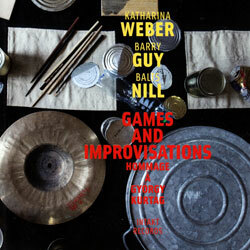 In a trio with bassist Barry Guy and percussionist Balts Nils, pianist Katharina Weber interprets 11 short piano pieces by Gyorgy Kurtag's collection "Jatekok", beautiful gems of trio improvisation.